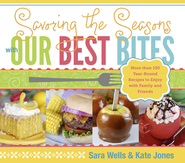 Proceeds from this cookbook will benefit Thursday's Heroes through Bronco and Holly Mendenhall's Fully Invested Foundation, a nonprofit initiative to help children and families who are facing significant life challenges. Since 2006, more than ninety "Thursday's Heroes" have been honored by the BYU football team. WHO are Thursday's Heroes? Children and families who are inspiring examples of courage and strength in facing adversity. WHAT is the Thursday's Heroes program? Heroes receive gifts and autographed Cougar memorabilia and an invitation to watch the Thursday football practice, tour the Cougars' sports facilities, and meet the team. 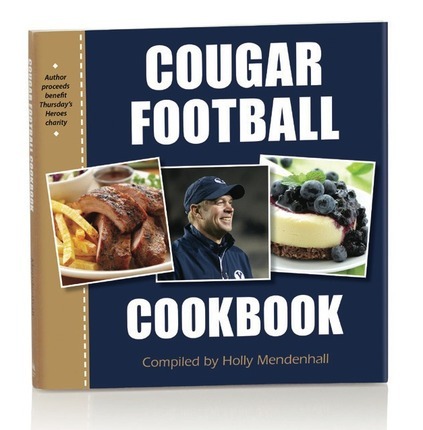 WHY the Cougar Football Cookbook? Favorite dishes of team players and coaches from 1964 to 2012 will delight your taste buds—with 100 percent of the author's proceeds going to benefit Thursday's Heroes. Holly Mendenhall is an outdoor enthusiast, a University of Montana graduate, and author of Find the Money, a book about budgeting. She and her husband, BYU head football coach Bronco Mendenhall, are the parents of three boys. The Holly & Bronco Mendenhall Foundation, which sponsors Thursday's Heroes, aims to provide inspiration, resources, and hope to ordinary people facing extraordinary challenges. I LOVE how this cookbook is put together! And the recipes...OH. SO. DELICIOUS! 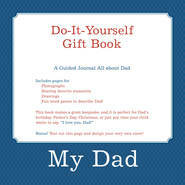 We have made quite a few of the dishes and plan to use this cookbook frequently. I was surprised that this cookbook had many dishes I wanted to try out. I'm not one for recipes that have fancy ingredients and time consuming directions so when I was going through the book and found many "Hey-I-can-do-this!" dishes, I was thrilled! Most of the recipes were simple, easy, and quick. Although this cookbook did not have images of the final creations, I still found the book very attractive and user friendly. The recipes really did speak for themselves. See Jinky is Reading for full review and images of recipes I tried (8/13/13.